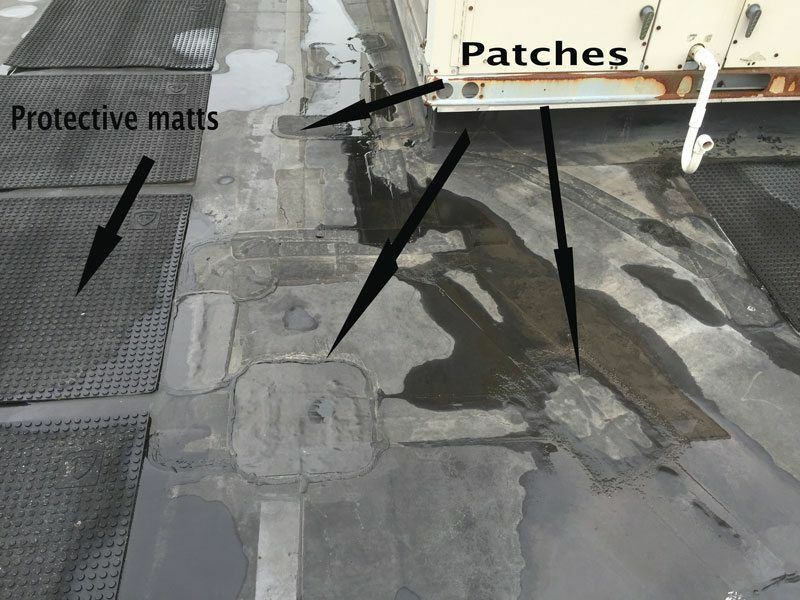 Flat roof repairs are relatively easy to make, but finding the cause of the problem is harder. There are many types of materials used on flat roofs, and each one requires special techniques and experience to do repairs. EPDM, TPO, and Torch Down roofing are made from different composite materials and are not compatible with each other. 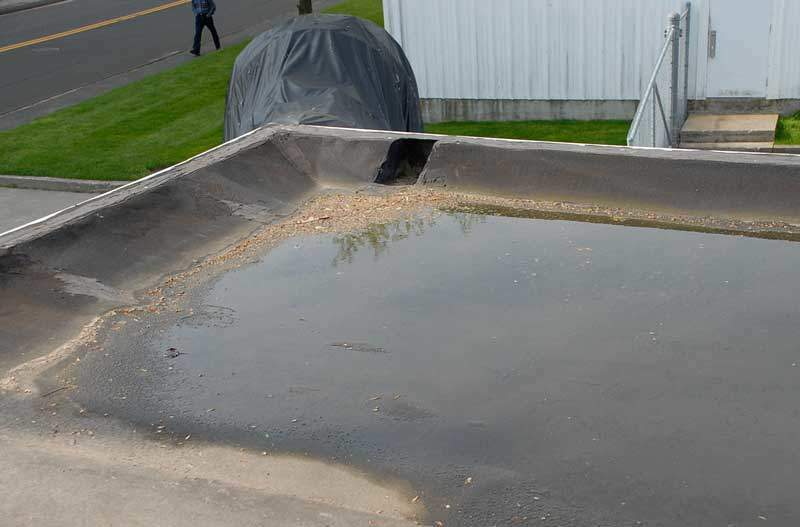 We specialize in flat roof repairs of Modified Bitumen Rubber Roofs. As long as the rubber roof is in a relatively good condition, we can find the leaks and make the necessary repairs. Most leaks are due to the membrane pulling away from the flashing. We developed a special technique making repairs on flashing and metal edging where this membrane is attached too. For the most part, to make such a repair, we need to cut the membrane away from all flashing and drip edges and install a new strip attaching it to the metal and the old roof. 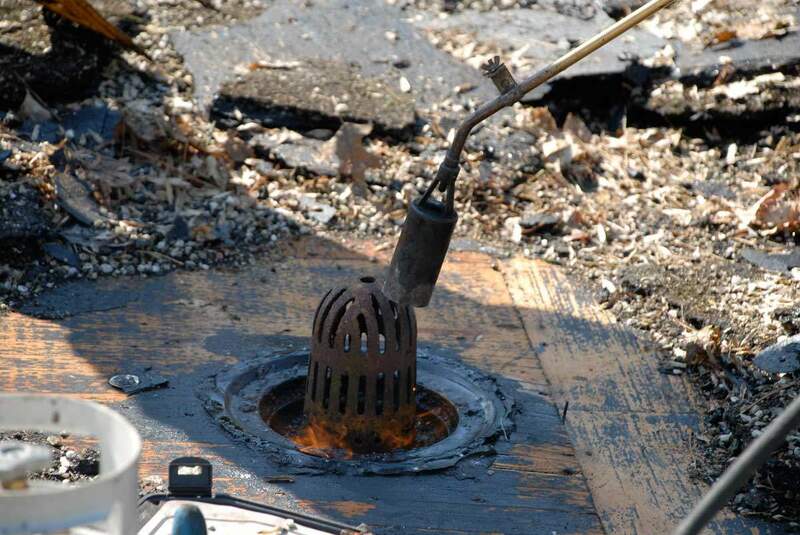 Once we have repaired Modified Bitumen Torch Down Roof, we provide a new warranty on all the work we do. EPDM Roofs are notorious for leaks. 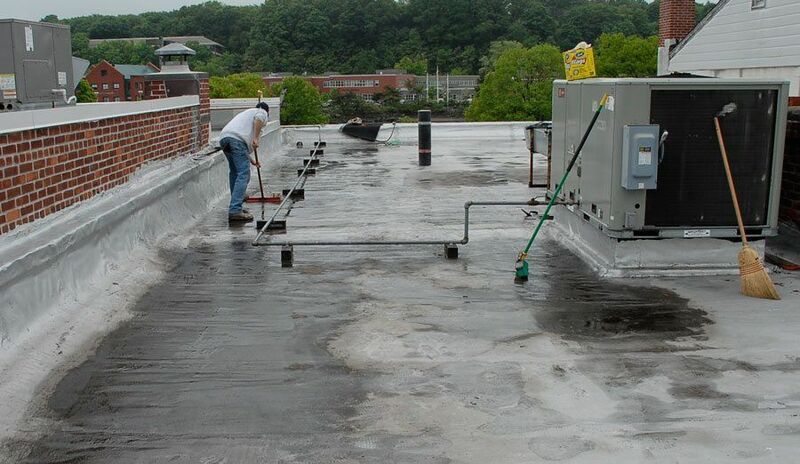 Flat Roof Repairs are necessary due to the failure of the adhesives that were used to glue the seam together. With the installation of an EPDM Rubber Roof, adhesives are used to stick the seams, flashing and other objects to the rubber together. Theses adhesives fail prematurely and cause leaks. We repair more EPDM Rubber Roofs than any other roof system. When an EPDM Rubber is separating from metal, it is best to cut the rubber away and install a new section. Repairs are harder to make where metal flashing or drip edges are. When EPDM Rubber seams are failing, EPDM cover tape is then used to cover the seams. These repairs often extend the life of the roof for about five years. 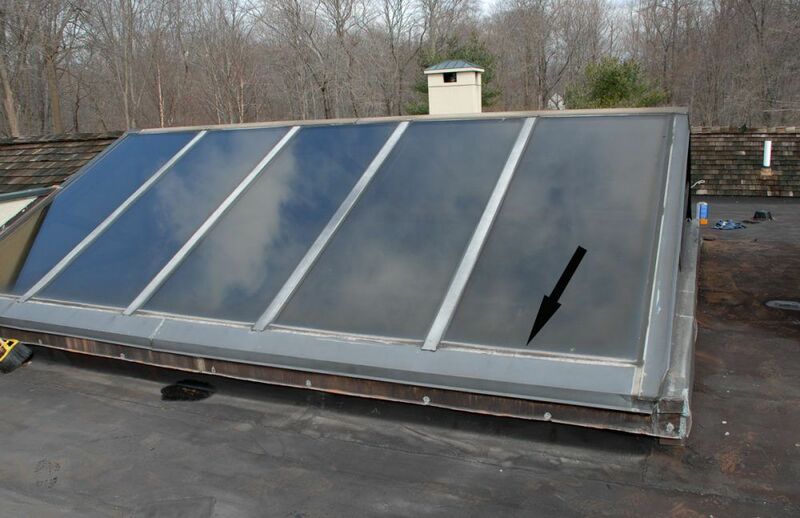 We have been repairing skylights on flat roofs for over 30 years. Flat Roof drains doesn’t need repairs if installed correctly. 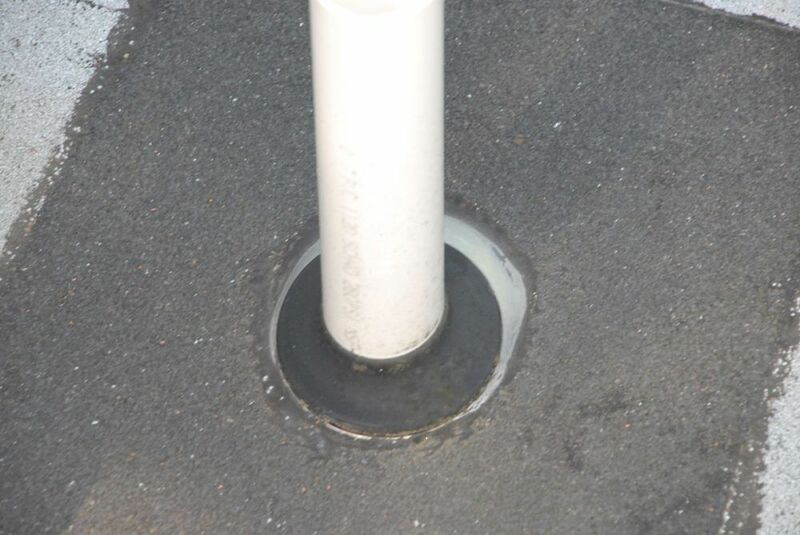 Watch this video to see how amperfect drain should function on a flat roof. We have been repairing drainssince we started the business 30 years ago. For the most part, to fix a drain, all the existing roofing material must be removed and, and the drain’s metal flange must be clean. After removing all the tar and roofing materials, then a new membrane is installed attaching the roof drain to the roof again. Often, the repairs include lowering the drain to allow water to flow better off the roof. We often have to fix the flashing around vent pipes on a roof. The roof membrane attached to the vent separates and causes leaks. We repair it by installing new flashing. Very often a scupper will cause a leak, and a repair is needed. We will remove all the roofing material that’s around and on the supper and make a proper repair. Once we have repaired a scupper, the water will flow better off the roof. In general, we troubleshoot all kinds of leaks and issues on any roof and make the necessary repairs. We have been repairing roofs for over 30 years. Needed repairs are due to unqualified people installing roofs. 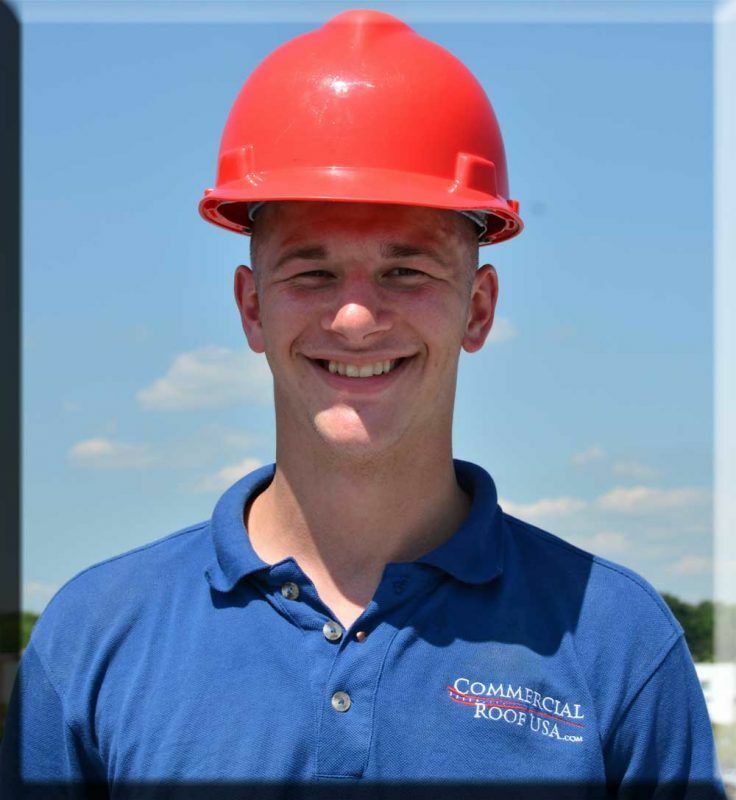 Sven Ferreira is in charge of all the repairs on flat roofs, skylights, and drains.